Note: The hardcover version of this book is no longer available for sale. You can access a copy through the Scholastic Reader Club or Storia. Do check your local library for a copy! When a new boy named Victor arrives at school, Conrad temporarily forgets about his best friend, Mike and becomes the worst best friend. But when Victor's desire to win makes him not want Conrad on his kickball team, Mike and Conrad discover that they are best, best friends after all. This read-aloud is a frank and funny look at the challenges and rewards of true-blue friendship. [An] action-packed picture book about power plays in the schoolyard. A fun read-aloud. The delivery in this volume provides plenty of zing. 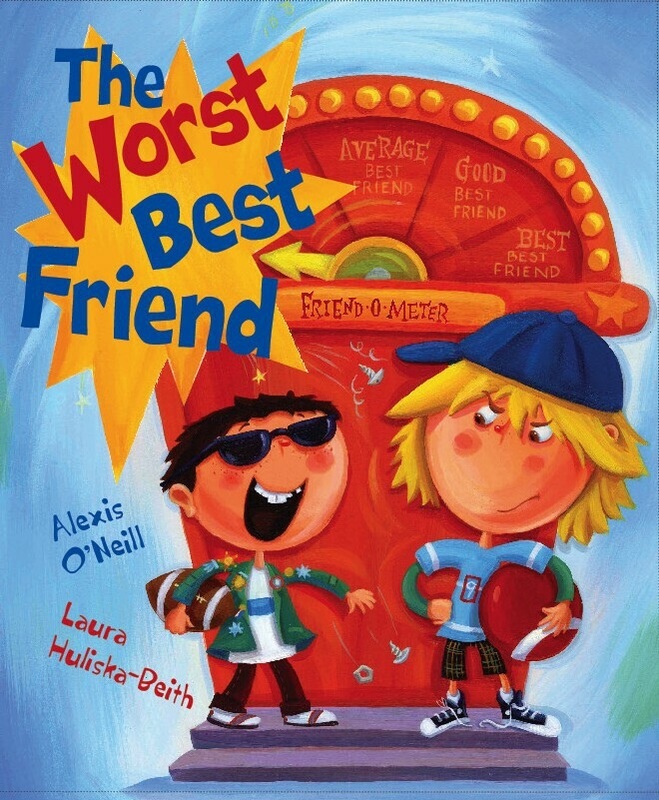 With fun, frolicking language, and bold illustrations, Worst Best Friend presents realistic schoolyard dynamics with humor and fun. A perfect companion to The Recess Queen, also by O'Neill and Huliska-Beith. [A]well-done piece of literature shared out of the spirit of caring can help children contend with particular issues, and to know they are not alone. . . Loyalty is the baseline for this story about surviving the common pendulum swing of childhood friendships in this realistic but still cheerful playground drama. Without even noticing it, kids will move from an incomplete view of what friendship means to a richer, more differentiated one. In addition to its being a fun read, there are some wonderful lessons in this story for children about the importance of true friendship, the need for showing kindness, and even the fact that winning is not always the most important thing. . . I highly recommend it.